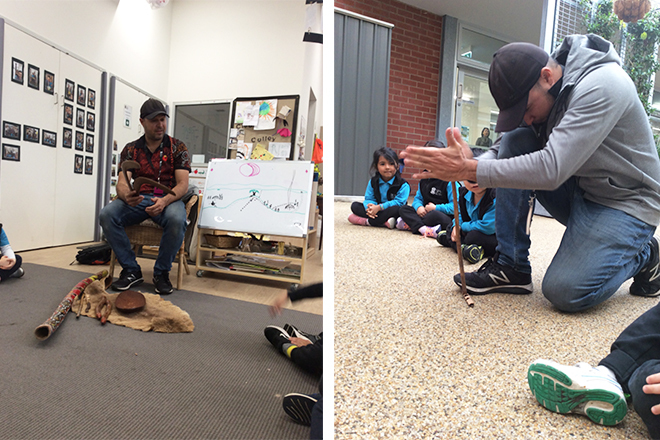 Our ELC 4 year old children were delighted to have a visit from Trent Hill, an Aboriginal story teller. 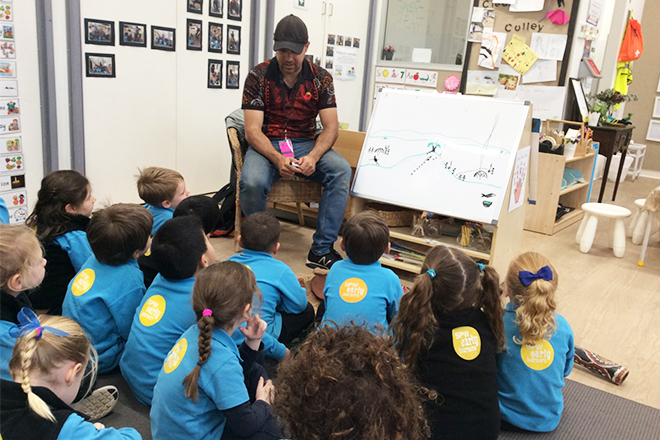 Trent Hill visits the SPW Early Learning Centre to share his stories with the 4 year old children. Trent was born in Western Australia into the Wilman group. He moved to South Australia and grew up on the traditional lands of the Kaurna people of the Adelaide region. He captivated the children through his story about a lazy and greedy boy called Getagool who failed to tell the truth to two sisters in order to get food and water from their land. 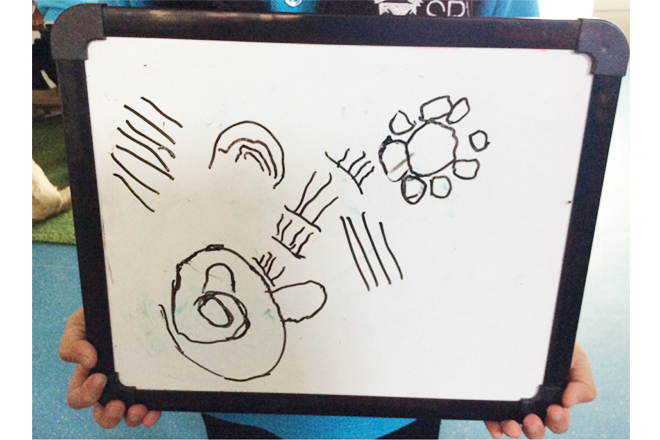 Trent used drawings to tell the story of Getagool and explained that as punishment for not telling the truth, Getagool became the moon and the sisters became the stars. He discussed the importance of story-telling to learn the ways and rules of life – such as the importance of telling the truth and how we learn from adults. Trent also showed and played his didgeridoo, tapping sticks, his fire starting tools and animal skins, explaining how they were made and their uses. Trent ended the session by showing the children how to light a fire from his fire stick. The children really enjoyed Trent’s visit. 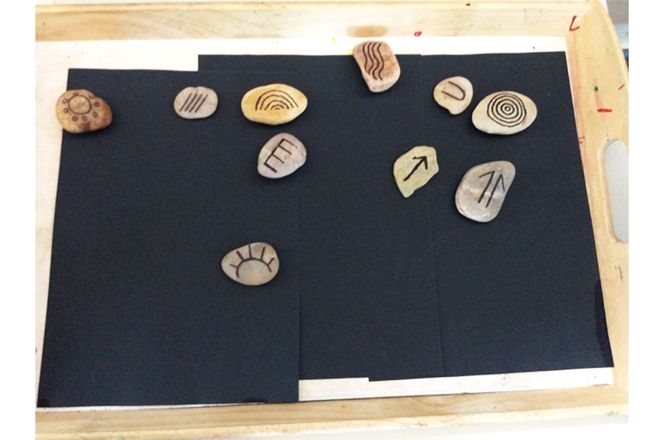 Following our time with Trent Hill, the Moseley and Hastings children have been busy creating stories using Aboriginal story symbols. 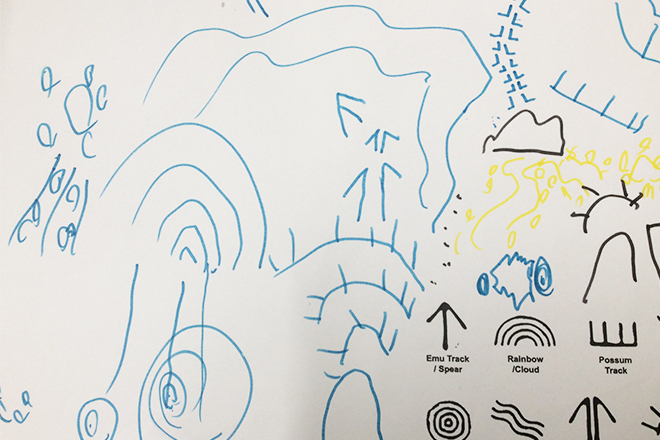 Phoebe’s story created using Aboriginal story symbols. 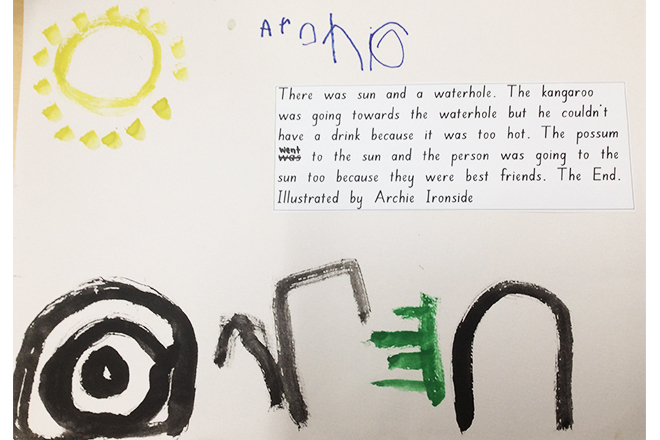 The children were given opportunity to create stories together as a group, and their own story independently. 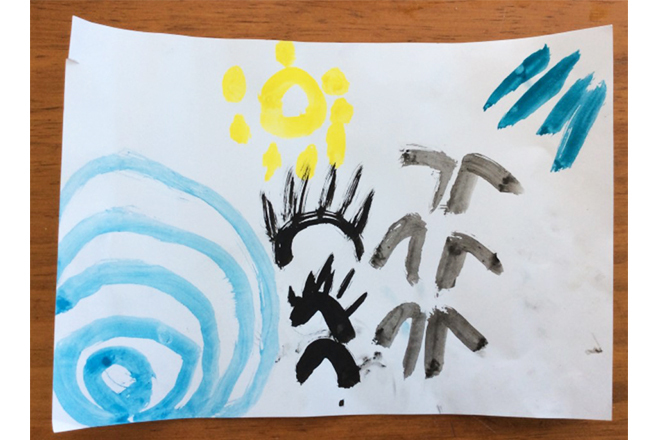 Children chose a medium to create the story, such as paint, pencils, story stones or soil trays. Children who have created a story have had their story scribed or recorded an audio story using the voice recorder on the i-Pad. They are excellent storytellers. Learning is evident when children explore the diversity of culture, heritage, background and tradition and that diversity presents opportunities for choices and new understandings.